If you have any questions, please call Summit Home Health Care and we will be happy to assist you in this process. Nursing Team: Including Certified Wound Care RN. Physical Therapy: Dry Needling, Vestibular Rehabilitation, and Orthopedics. Occupational Therapy: Household modification and DME recommendation & Retraining of ADL skills for safe and maximum functional independence in the comfort of your home. 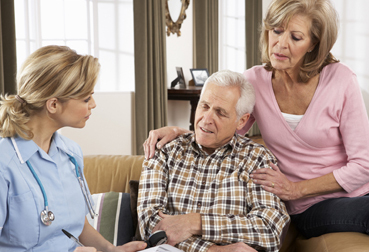 Speech Therapy: Post stroke care. Medical Social Worker: Future planning for family members such as community resources (transportation, insurance, medications) - assist with financial burdens. WHO SHOULD CALL SUMMIT HOME HEALTH CARE? Bridges the gap between hospital or other facility and home. Encourages self-management that leads to independence. Short-term participation reaps long-term benefits. Cost effective use of Medicare dollars with the goal of reducing rehospitalizations. 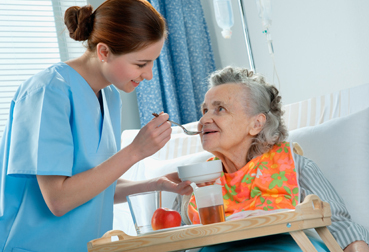 Why Summit Home Health Care? Serving the Colorado Springs and surrounding communities since 1997. Specialize in acute and chronic patient care. Recuperate in the comfort of your own home with the support of your loved ones. Low clinical staff turn over.